What if you could crowd-fund the development of a free HIV vaccine? That's exactly what The Immunity Project, a California nonprofit trying to raise $482,000 over the next 20 days, is trying to do: Having developed a preliminary HIV vaccine and completed initial lab tests, the team wants to raise money via crowd-funding to demonstrate the ability of the vaccine to immunize human blood against HIV. And if successful, that'll be the last stage before FDA human clinical trials can begin. A number of research teams around the globe are working on forms of HIV protection and cure, but this one is unique for three reasons: It's developed in a different way; it wants to be free for everybody; and, of course, it's crowd-funding its final stage before human trials. Three researchers created the vaccine: Harvard's Dr. Bruce Walker, AAAI fellow Dr. David Heckerman, and Flow Pharma founder Dr. Reid Rubsamen, reports Fast Company. 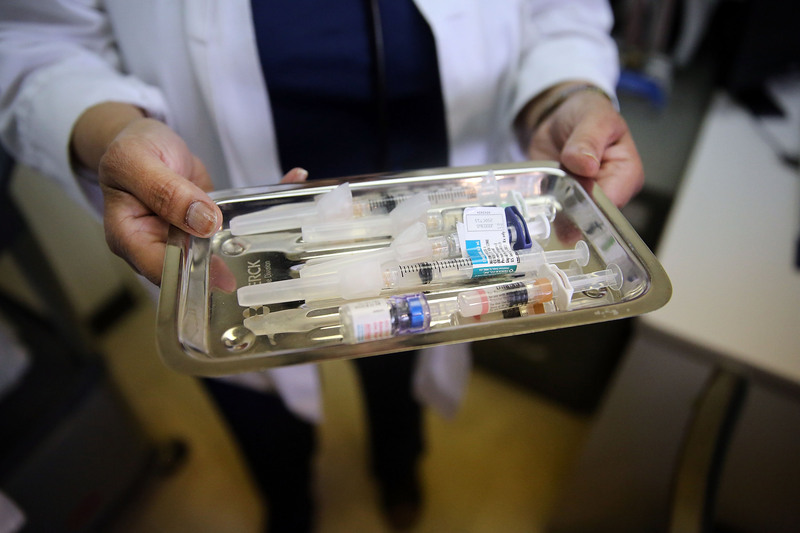 The vaccine, according to the three-man partnership, mimics the natural immunity to HIV found in a fraction of people. Crucially, the partnership didn't use any investment from big pharmaceutical companies to come up with the vaccine. Now, the fact that these researchers are working on a vaccine to prevent HIV, rather than the treatment or cure for the disease, is nothing new: Several vaccines are in development with the hope of doing the same thing. But this one has as good a shot at working as any of them, and is designed to be accessible to everybody. Current responses to the pandemic are insufficient to match the challenge posed by HIV. For example, for every person who gains access to antiretroviral drugs today, two are newly infected by the virus. This is especially true in sub-Saharan Africa where the need for an HIV vaccine is of the utmost urgency. Of course, the cost of development of the vaccine thus far wasn't free. The Until There's A Cure Foundation stepped in to partner up with the project, along with crowd-funding company Y Combination. Ultimately, if the FDA trials are successful, Big Pharma wouldn't have played a hand in developing it, so Big Pharma couldn't charge consumers for using it — and so, theoretically, the cost of the vaccination would be eliminated. So far, the project has raised just over $125,000 towards its cause. You can donate here.